‘Besharam’, Ranbir Kapoor’s latest release has a basic problem - it does not live up to its name. 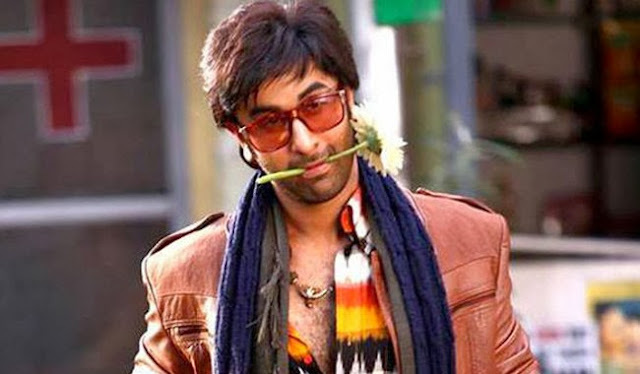 When you watch Ranbir you do not expect an out and out ‘Besharam’ comedy. However you do expect some smart assery if that is what is projected in all its promos. Good performances, the Kapoor clan, and some good humour could not really create the magic that you expect from the entire crew. The young Kapoor is a teen heart throb, here he tries to be more, and doesn’t really do too well. ‘Dabbang’ was a great make of classic masala film making that came from Abhinav Kashyap, and was pulled off with élan by Salman Khan. Salman stood out in his archaic 1990s hero avatar, delivering loudmouthed-applause-inducing dialogues looking as if he spoke like this every day. Despite Ranbir’s refreshing acting skills, he falls short – probably because he looks just out of ‘Wake up Sid’ cuteness. Humour is just spattered insufficiently and inconsistently. The parts where you end up enjoying the most are Rishi and Neetu Kapoor’s sequences, and by the end you are disappointed that they did not have as much screen time as you would have liked. It looks like Abhinav wanted to work with a plot that involved all three, but his ambitions stopped short right there. He did not bother with a plot line which was fantastical enough to accommodate all three of them sharing the screen space and make a compelling must watch blockbuster. The story revolves around a good hearted orphan, Babli (Ranbir), who has grown up to be a car thief. He falls for the ‘beauty’ Tara Sharma (Pallavi Sharda). Rishi and Neetu play a slightly corrupt, cop couple - Chulbul and Bulbul Chautala. The movie has a predictable plot, atypical of masala flicks, using stereotypes of every kind. The love story between Babli and Tara is unconvincing. Not that you need a why and a how, but it doesn’t build up at all. Also, one major grouse I had with the movie was that I was waiting to understand why Babli was called Besharam in the first place. By the standards of how Indian movie heroes are generally shown wooing ladies, Babli was quite a softy, giving flowers to the leading ladies mom, carrying her grocery. Apart from what you have seen in the promos, Ranbir never goes beyond pulling out socks from his pants. The other two Kapoors are fantastic. Every time Rishi and Neetu appear on screen they manage to entertain. From the first chase sequence to the climax, the few minutes that they have, they have pulled off the chemistry that they were known for back in the 70s. Neetu Kapoor plays gutsy, stands on equal footing as Rishi, and has a good comic timing. She jibes and jokes with Rishi, who is equally cute with her whenever they are seen together. It’s like watching an old endearing couple still in love who have managed to keep the fire alive because of their romance infused in a sense of humour.The first half of the movie is rather floppy, but the second half of the movie picks up the plot. But the climax is worth watching. Rishi, Neetu and Ranbir fight side by side; Rishi Kapoor takes the centre stage and you realise Kashyap probably made the movie only for this scene. The music of the movie comes from Lalit Pandit who is the part of the 90s famed Jatin-Lalit duo. ‘Dil Ka Joh Haal Hai’ which is filmed near the traditional lahlahate sarso ke khet sounds like a track straight out of that decade. Another refreshing track is ‘Love ki Ghanti’ which reminds you of Kishore Kumar’s fun songs from the 60s. It has a conversation structure and sounds really fun! The title track and the other tracks, even though nothing to write home about are more or less enjoyable. As Ranbir fan, one would not really mind the movie. But it does not make an impact as ‘Dabbang’ moment for the hero. The superstar in the making is probably is a much better actor than a masala entertainer and that’s something that he has proven in his previous movies. The filmmaker did not have a proper vision for an actor of Ranbir’s calibre and this one is certainly not the best for either of them!